A class for lower elementary school aged kids to learn to relax and to become more comfortable in their ever changing bodies. Join us on our creative yoga adventures! 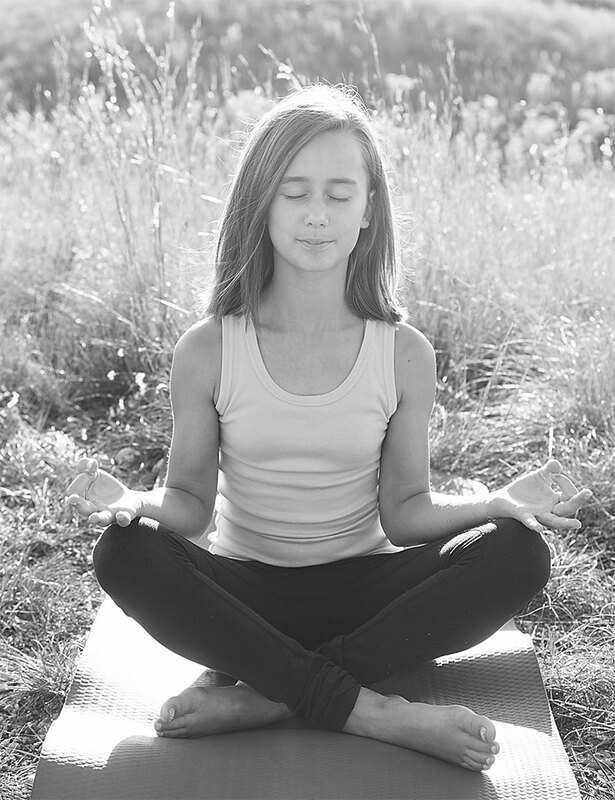 This class is a great way to introduce kids to yoga and a healthy life style! A great class to help your child through the journey of adolescence. Increases focus, flexibility, self-esteem and encourages a healthy lifestyle. Finally a class for you and your older children to enjoy together. We will learn breathing techniques, do individual and partner poses, play games, and end with an art/creative project. For children 4+ and their parents/grandparents/families. These classes are held a few times each year. Let us know if you are interested! Come along with us as we go on adventures to the sea, the mountains, and more—wherever our imaginations take us! Along the way we will learn more about our bodies… inside and out. Includes a daily healthy snack, week-long art project, SFY t-shirt, as well as all of the benefits of yoga poses, breath awareness, games, and relaxation. Help your child prepare his/her body and mind for school!